Contrary to popular belief, business succession planning is much more than just bowing out, planning for retirement, or creating scads of legal documents. It’s a strategic process, benefiting both the franchisor and franchisee, that focuses energy towards long-term performance factors to build a foundation for sustainable success. Succession planning is critical to building business value and growth for both the franchisor and franchisee. Sustainable franchisee success is essential to franchisor distribution, brand value and growth. Reciprocally, franchisees depend upon the franchisors brand value and visibility in the market place to attract and retain customers. Join us for the Franchise Succession Planning breakfast where Jeff Faulkner and David Weaver of The Rawls Group will debunk succession planning misconceptions impacting growth and value of franchise businesses today and discuss how the franchisor and franchisee can better partner towards building long-term sustainable brands. Mr. Faulkner specializes in family business succession planning and is responsible for cultivating and facilitating client relationships. 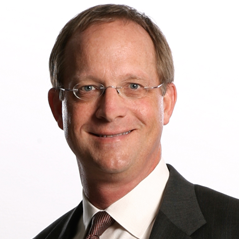 Jeff relies upon his background in family counseling to navigate the unique challenges of family dynamics in the succession planning process. Jeff is a co-founder and serves on the Board of Directors for the International Succession Planning Association®, which is an organization dedicated to providing cutting-edge planning and facilitation resources to business owners, financial advisors, business consultants, attorneys, accountants, bankers, vendors, professional and industrial associations, and manufacturers. He earned his undergraduate degree from Samford University in Birmingham, AL with a major in Psychology, and is a graduate of Georgia State University, where he earned a Master of Science degree in Counseling. David’s career spans over 30 years as a successful business executive, where he specialized in the launch and growth of independent startups and new business units across multiple industries. In these roles, he worked with CEOs and executive management to achieve aggressive growth goals and prepare their organizations for eventual sale. David focuses his work with owners and management teams specializing in strategic planning, business performance, management synergy and teamwork. He helps identify areas that effect performance and culture – transforming managers into effective leaders. 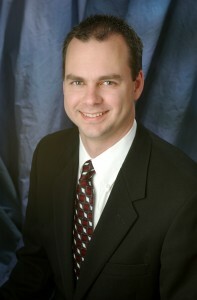 David is a graduate of East Carolina University where he earned a BSBA in Accounting. His finance, management, sales and marketing background make him the go-to resource to help drive long-term growth and profitability for clients.